Bowling Green, Ky. (August 24, 2017) – Russell Athletic®, in partnership with Positive Coaching Alliance, Little League®, and Fatherly, released survey results[i] today showing that parents and coaches both believe encouragement is still the top principle of coaching youth sports, despite increased pressure and societal challenges from club and competitive sports. 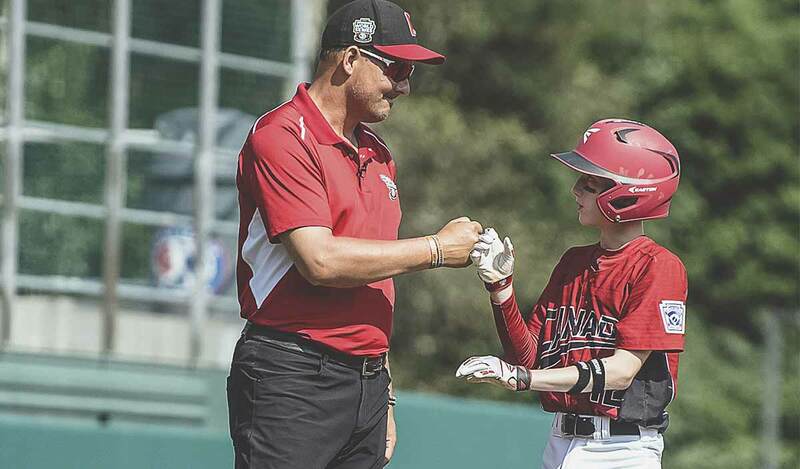 A positive approach to sports and the power of sportsmanship are principals that Little League, Positive Coaching Alliance and Russell Athletic® firmly believe. Society challenges this with an ‘always win’ mindset through club and competitive sports that can be seen as conduits in the trend toward early specialization in youth sports. This may lead young athletes to becoming discouraged and parents frustrated by not knowing what they should do to provide a positive experience for the children. The survey, which had 1,132 responses, was conducted to gain insight into the benefits and challenges facing youth sports culture today by asking the parents of children who are highly involved in sports what they are seeing first hand. Most the respondents to this survey were current or past coaches (88 percent) and had excellent insight into the ways to navigate the challenges presented by sports today. Competition and fun are not mutually exclusive – 97 percent of parents agree that you can focus on fun and competition at the same time. Parents even believe that fun should take priority (82 percent). Valuable life lessons in sports – Parents know that sports teach lessons that are the building blocks for a successful life. Top lessons parents listed included teamwork (85 percent), hard work (61 percent), perseverance (50 percent), friendship (48 percent) and self-discipline (47 percent). Positive encouragement from coaches – To help alleviate parent’s concerns about coaching in youth sports, it is important that coaches discover and learn what is most important for the children they are coaching. The top principles in coaching that were listed included giving positive encouragement (78 percent), treating failure as a lesson (41 percent), teaching by example (38 percent) and offering constructive criticism (35 percent). Specialization in youth sports – 85 percent of parents believe early specialization in youth sports to be a negative trend. It is significant, but not dominant, with only 31 percent of children specializing. Parents taking their children’s sports too seriously – 86 percent believed parents take their children’s sports too seriously and 93 percent believe parents’ behavior is an issue. Parents putting too much pressure on their children – 81 percent of respondents believe that parents are putting too much pressure on kids when it comes to youth sports. Expectations do not match reality – 41 percent of parents believe that their children will be or was good enough to play collegiate athletes. Reality shows that only 8 percent of current high school athletes go on to compete in the NCAA. Russell Athletic® wanted to offer more than just statistics from the results of the survey. They took these findings and helped compile a cheat sheet for parents as a guide to a more positive sports life. View the full study, "The Positive Parent: A Study on the Lessons Surrounding Youth Sports Today." For over 115 years, Russell Athletic® has been dedicated to helping athletes perform at the highest level. We are the American athletic brand that is passionate about designing apparel for all athletes: little leagues to big leagues, weekend warriors to elite competitors. For more information, please visit www.RussellAthletic.com, Facebook and Twitter. Founded in 1939, Little League® Baseball and Softball is the world’s largest organized youth sports program, with nearly 2.4 million players and one million adult volunteers in every U.S. state and more than 80 other countries. During its nearly 80 years of existence, Little League has seen more than 40 million honored graduates, including political leaders, professional athletes, award-winning artists, and a variety of other influential members of society. 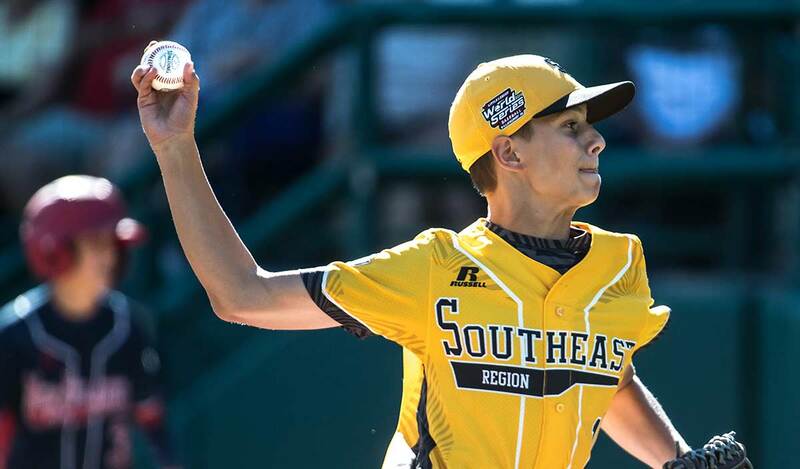 Each year, millions of people follow the hard work, dedication, and sportsmanship that Little Leaguers® display at our seven baseball and softball World Series events, the premier tournaments in youth sports. For more information, visit LittleLeague.org, and follow Little League on Facebook (facebook.com/LittleLeague), Twitter (twitter.com/LittleLeague), and Instagram (Instagram.com/LittleLeague). Follow all of the action from the seven Little League World Series tournaments at llbws.org or on social media using #LLWS. Fatherly is a digital lifestyle guide for men entering parenthood. With unique tools that assist new fathers and provide highly technical age and stage information that will provide accurate and factual information about a child's development, the platform offers thoughtful, informative content along the parenting lifecycle. BOWLING GREEN, Ky., August 3, 2017 - Russell Athletic®, a leading provider of sportswear apparel, announces a new partnership with S&S Activewear. S&S Activewear, a national wholesaler of imprintable activewear, will launch a collection of Russell Athletic® active apparel including its iconic Dri-Power Fleece beginning in August 2017. This collection includes fleece, tees, performance and sports shirts for men, women, and youth. Expanding upon their commitment to provide the highest quality uniforms for all ages and levels of play, Russell Athletic® and Little League collaborated to introduce a new local league uniform ordering option, allowing leagues and coaches to customize regular season and tournament uniforms complete with the Little League Official Patch. This new purchasing option makes ordering and receiving Little League uniforms easier and more convenient than ever for coaches, parents and league administrators. LittleLeagueUniforms.com, launched in May 2015, is a one-stop-online shop for designing, customizing and purchasing group orders of Little League baseball and softball uniforms for the nearly 6,000 local programs in the United States. The website is also the only online uniform generator that offers officially-sanctioned Little League patches pre-sewn on each jersey as part of each order. Through world class service and premium brand offerings, S&S Activewear gives customers an easy and convenient way of buying apparel for their school spirit, corporate or promotional needs. For more than 100 years, Russell Brands, LLC, has supplied America’s athletes and teams with the latest innovations to help them perform at their best and is a leading supplier of apparel and team uniforms at the high school, college and professional levels. Russell’s collegiate licensed products and athletic wear are broadly distributed and marketed through department stores, sports specialty stores, retail chains and college bookstores. For more information, please visit www.RussellAthletic.com, Facebook and Twitter. Founded in 1988, S&S Activewear is a national wholesaler to the imprintable apparel and uniform market, headquartered in Bolingbrook, IL. With over 60 brands from basic garments to fashion-forward styles, products include t-shirts, fleece, sport shirts, wovens, hats, bags, aprons, performance apparel and uniforms. The company has over 1.5 million square feet of warehouse space with locations in Bolingbrook, IL; Santa Fe Springs, CA; Robbinsville, NJ; and Olathe, KS. Additional information is available at www.ssactivewear.com or by calling 800-523-2155. BOWLING GREEN, Ky., Dec. 28, 2016 -- For most senior football players, the conclusion of the season means turning in your uniform. What is never handed in, however, are the lessons players learn, the respect earned, and the family created from team bonds forged by their coaches. Those are worn for life. Russell Athletic is bringing those lessons to the forefront with its "Dear Seniors" program. "Dear Seniors" shares emotional messages from real high school coaches to their seniors, focusing on the life lessons learned from being part of a team. This effort, led by a new commercial to air during the nationally-televised Russell Athletic Bowl, will be complemented with a robust digital and social content campaign. The content culminates the Team On "Settle Your Score" campaign that debuted during the high school football season telling the untold stories of six teams that turned the one thing that haunted them from their state championship loss into their ultimate motivation. "'Dear Seniors' looks to capture important life moments from the perspective of an athlete's most influential mentor, their coach," said Russell Athletic Vice President of Marketing, Matt Murphy. "This is a defining point in these young players' lives. From this moment, the lessons they learned on and off the field, will serve as a solid foundation to build upon throughout their lives." The main "Dear Seniors" creative element is a sixty-second video featuring a letter and voiceover from an Indiana high school football coach and player that will run during the Russell Athletic Bowl on ESPN. Additionally, the program has featured a month-long digital content campaign sharing several personal letters received from over 400 high school coaches across the country to their senior players and will host a "Dear Coach" response video from a player, thanking his coach on the life-lessons he learned from the field of play. Football legend, Eddie George, will serve as spokesperson for the "Dear Seniors" program, sharing his own letter to his high school coach and senior football players everywhere. "The 'Dear Seniors' program immediately struck me personally. My coaches have made an incredible impact on the man I am today on and off the field," said George. "I believe the foundation of a team are the bonds you have with your coaches and teammates. It's where I learned to commit myself to working hard and doing the right thing. Those are the lessons I took with me when I handed in my senior uniform." 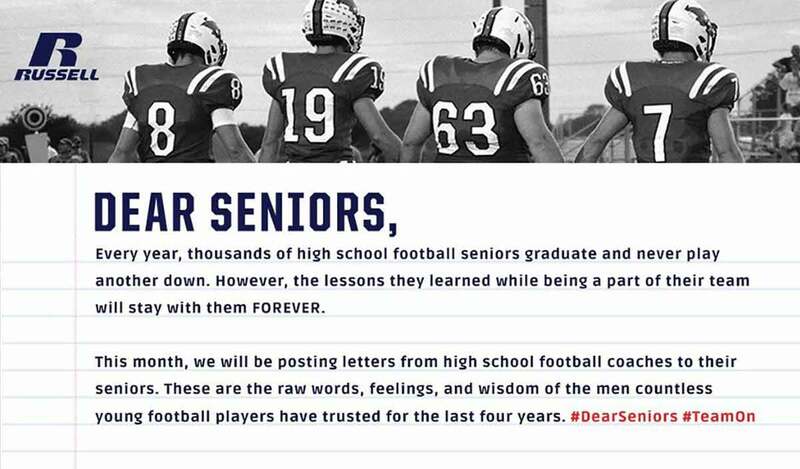 Russell Athletic is asking high school football coaches and fans across the country to post their farewell messages to outgoing seniors by using the #DearSeniors hashtag on social media channels. For more information, please visit www.RussellAthletic.com, Facebook, Twitter, and Instagram. The 2016 Russell Athletic Bowl takes place on Wednesday, December 28th, and will feature the No.16 Western Virginia Mountaineers and the Miami Hurricanes with kickoff set for at 5:30 p.m. EST on ESPN. For more than 100 years, Russell Brands, LLC, has supplied America's athletes and teams with the latest innovations to help them perform at their best and is a leading supplier of apparel and team uniforms at the high school, college and professional levels. Russell's collegiate licensed products and athletic wear are broadly distributed and marketed through department stores, sports specialty stores, retail chains and college bookstores. Russell Athletic is the expert and defender of team sports in America. We take actions to build stronger teams. We stand for the fundamentals. Team On. BOWLING GREEN, Ky., November 17 -- Russell Athletic announced today that Huntington High School is the 2016 "Fight Like Dylan Award" recipient. In its sixth year, the award honors high school sports teams that have used inspiring perseverance to overcome odds and achieve success through teamwork. A panel of judges, led by Pro Football Hall of Famer, Tony Dungy, selected the recipient after reviewing submissions from across the nation. Through this initiative, Russell Athletic will present Huntington High School with a $50,000 grant for sports apparel and equipment in a celebratory event hosted at the high school. The Huntington football team took inspiration from an honorary teammate battling a terminal disease to turn their season around and become a stronger, more inspired team that made the playoffs. Huntington football’s inspiration and honorary teammate was Eli Mollineaux. The Blue Devils struggled early in the season and were a longshot to make the playoffs, but Eli, who suffered from Pearson Syndrome – a mitochondrial disease - was defying his own odds at age fourteen after doctors told his parents that he would not live past kindergarten. 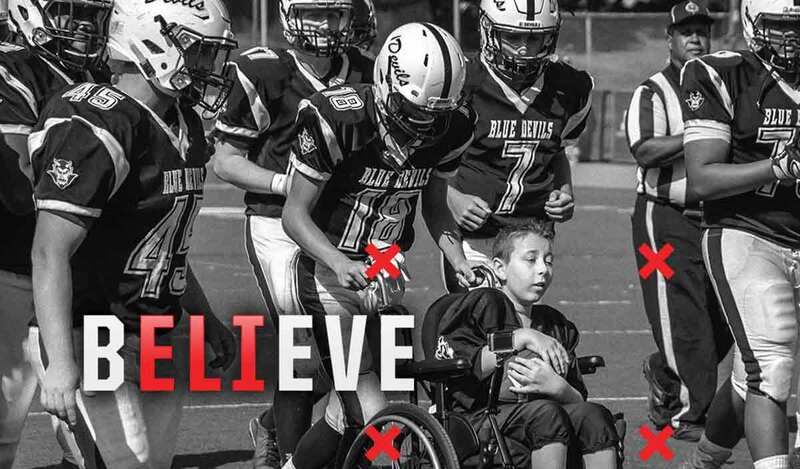 Eli’s infectious personality, charisma and bravery were the motivation for the Huntington football team, adopting the mantra “#bELIeve” this season in his honor. The turning point for the Blue Devils’ season came in September during a game recognizing Eli. After losing their first three games, Huntington was scheduled to face their rival, Smithtown West. As a tribute to Eli and his courageousness, players invited the young man onto the field to score his first touchdown with 1,500 fans chanting #bELIeve. Players from both teams ran alongside him and cheered him across the goal line. The opposing team even wore Eli’s #40 jersey with his name on back, while fans held #bELIeve signs. Motivated by Eli, the team went on to win the game 42-20 and then proceeded to win five of their next six games securing their spot in the playoffs. Unfortunately, in late October, Eli passed away, but the team and community still draw from the memory of Eli’s bravery and courage displayed during his short life. "We are proud to be the brand that gives voice to such amazing stories of communities that have struggled, but still found success through teamwork. After careful review of all the submissions, we are proud to have Huntington High School as our 2016 Fight Like Dylan Award recipient," said Matt Murphy, Vice President of Marketing, Russell Athletic. "The support for Eli and his determination to beat the odds is what made the story so profound, proving that the power of team can make a difference in not only one life, but an entire community." The Huntington Blue Devils and Eli Mollineaux are a direct representation of the team message Russell Athletic espouses through the “Team On” campaign that kicked off during the 2016 football season. Russell Athletic believes that teams can find an uncommon strength when faced with adversity and they celebrate those teams every year through this award. Not unlike the previous five recipients, the story of Huntington Football and Eli exemplifies a team finding strength and inspiration in their community. Each recipient has proudly represented the memory of Dylan Rebeor, the award’s namesake and a high school football player whose last wish selflessly was for his teammates to receive new uniforms before he passed away in 2011. "Each year I continue to be amazed by the incredible stories of our high school athletes," said Tony Dungy. "The Huntington High School football team has proven that you can inspire an entire community though the acts of goodwill, character and teamwork." Dungy, Heather Rebeor (Dylan's Mother), and a representative from each of the past "Fight Like Dylan Award" recipients served on this year's selection committee. To learn more about Dylan's story, visit www.FightLikeDylan.org. "The story of the Huntington football team is proof of how a group of spirited individuals can make a lasting impression," said Heather Rebeor. "It has truly been a rewarding experience to have Dylan’s legacy continue through the Russell Athletic “Fight Like Dylan” Award." For more information, please visit www.RussellAthletic.com, Facebook, Twitter, and Instagram. BOWLING GREEN, Ky., Sept. 13, 2016, -- Russell Athletic announced today its launch of the sixth annual "Fight Like Dylan Award" honoring high school teams that have demonstrated inspiring determination and perseverance of teamwork through sports. A panel of judges, led by Pro Football Hall of Fame inductee and former NFL Head Coach Tony Dungy, will select one recipient to receive a $50,000 grant in athletic apparel and sports equipment for their school. To submit an entry, visit FightLikeDylan.org to share how your team utilized teamwork to accomplish goals or were able to overcome challenging obstacles to achieve success in the community through sports. 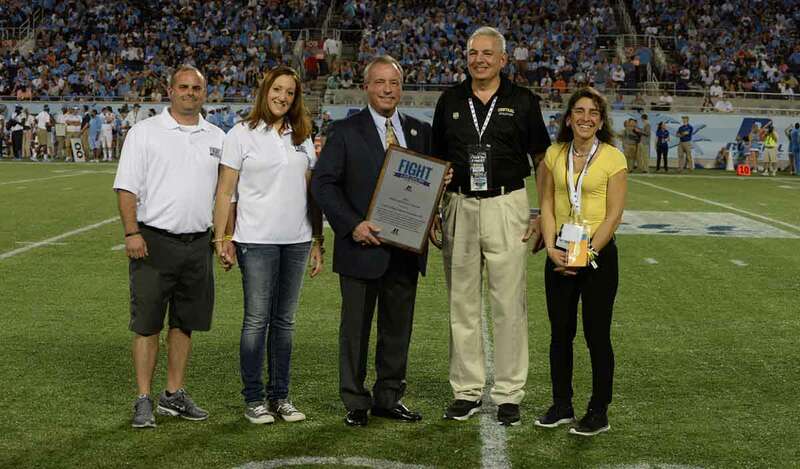 "We are proud to continue our mission to recognize high school sport teams that inspire their communities through the spirit of teamwork and determination," said Matt Murphy, Vice President of Marketing for Russell Athletic. "The 'Fight Like Dylan Award' has made a significant impact on our previous recipients and Russell Athletic is proud to continue supporting high school teams where the foundation of teamwork is born." Last year's "Fight Like Dylan Award" recipient was Central High School in Providence, RI which honored the Central Knights football team comprised of a number of key players who have overcome the loss of parents, friends and teammates to urban violence. Recently, they lost three teammates, all while head coach Peter Rios' wife has continued to recover from breast cancer. The collective trauma could easily have led the Central program to all but shut down. Instead the team thrived, with the players bonding together and celebrating their strength in a display of true teamwork. This year's judges panel that will be reviewing submissions and selecting a recipient are Hall of Fame inductee and former NFL Head Coach Tony Dungy, Dylan's mother, Heather Rebeor and representatives from the five previous recipients. "I am proud to continue to partner with Russell Athletic on truly an incredible program for our young athletes," said program spokesperson Tony Dungy. "My involvement with the 'Fight Like Dylan' award these past few years, has given me the opportunity to see and hear so many inspirational stories of team work through adversity and sometimes seemingly unbeatable odds." 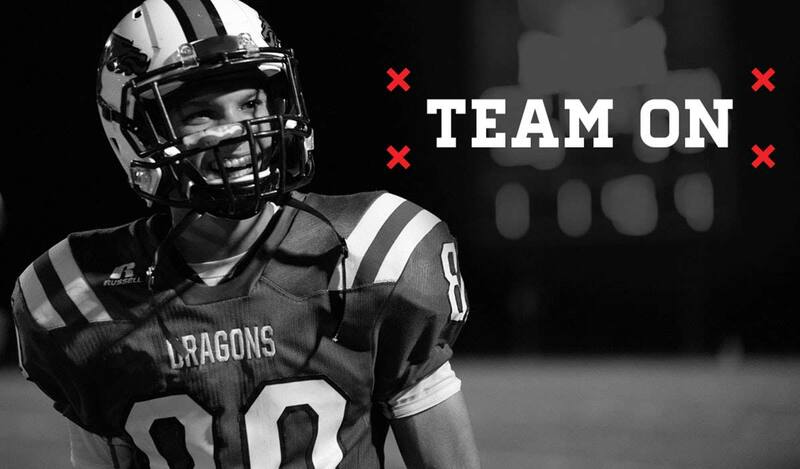 Dylan Rebeor's story of determination and tireless dedication to his teammates anchors the "Fight Like Dylan" program. In 2010, he was diagnosed with cancer, but after becoming ill, his commitment to his team never wavered. His final wish was for his team to receive new uniforms for the upcoming season through the "Make A Wish Foundation". The "Fight Like Dylan Award" was established by Russell Athletic in conjunction with Dylan's family and coaches to not only grant that wish, but to celebrate other teams facing adversity and turning it into a powerful story of success through teamwork. "I am beyond grateful to have Dylan's spirit live on through the Russell Athletic 'Fight Like Dylan' program," said Heather Rebeor. "Now in its sixth year, I look forward to hearing from all those who were inspired by Dylan's incredible journey and devotion to his team." For more information, official rules or to submit an entry, please visit www.fightlikedylan.org. To join the conversation on social media or to share your story, please use #FightLikeDylan. Bowling Green, KY. (July 28, 2016) - More than 100 years ago, Russell Athletic was born on the playing fields of America. Now, in an era of decreasing team sports participation and increasing ego, hype and selfishness, the brand is back to defend team sports in the U.S. and take real actions to help teams overcome the challenges they face. A national study conducted by Russell Athletic found that teams are not made in the game. According to coaches, teams are forged either in practice (50%) or off-the-field (47%). So this year, Russell Athletic will highlight the untold stories of how teams are formed and foundations for success are established. Today, Russell Athletic kicked off its “Team On” national integrated marketing campaign with a content series entitled #SettleYourScore. Instead of celebrating the champions, this series focuses on the 101 teams that lost the state championship by a touchdown or less. Russell Athletic is partnering with seven of these high school football teams from across the country to turn the one thing that haunts them from their state championship loss into their ultimate motivation. Players, coaches, and towns will literally stare down what haunts them in the form of outdoor billboards near each high school with reminders like “8 Seconds.” They will wear sweat-activated practice gear that reveals inspiration when they sweat through their shirt. And, right before the season starts, they will tear down the “haunt” billboards to reveal the team’s new team mantra for the season. Finally, each of the selected schools’ unique stories will be documented on TeamOn.RussellAthletic.com and on Russell Athletic social media channels for fans, family, friends and media to follow. The digital, social, and out-of-home #SettleYourScore series may focus on the preseason hunger of these schools, but the story goes deeper. It explores coach-player relationships, the universal lessons found in football, and the lifelong benefits of playing team sports in America today. In addition to Clark, Heisman Trophy winner and NFL legend Eddie George, who epitomizes the Team On approach to sports and life, will serve as a brand ambassador for the campaign. “To us, Team is not staged or scripted,” continued Murphy. “So we wanted the voice of this campaign to come from the teams, towns, and coaches themselves." The national campaign is set to launch during the heart of the preseason football time frame, and will include digital, social, out of home, a national study on the evolution of high school two-a-days, and a national two-a-days sale at RussellAthletic.com with a buy-one, get-one-free offer on all performance wear, perfect for every athlete’s preseason. To follow the #SettleYourScore campaign and the Russell Athletic effort to defend team sports in America, visit TeamOn.RussellAthletic.com, follow @RussellAthletic on Facebook, Twitter and Instagram, and search #TeamOn and #SettleYourScore. For more than 100 years, Russell Brands, LLC, has supplied America’s athletes and teams with the latest innovations to help them perform at their best and is a leading supplier of apparel and team uniforms at the high school, college and professional levels. Russell’s collegiate licensed products and athletic wear are broadly distributed and marketed through department stores, sports specialty stores, retail chains and college bookstores. Russell Athletic is the expert and defender of team sports in America. We take actions to build stronger teams. We stand for the fundamentals. Team On. BOWLING GREEN, Ky., Jan. 26, 2016 - Little League® and Russell Athletic® announced today a 5-year partnership extension to remain the official uniform provider to the Little League World Series, supplying all on-field apparel and licensed souvenirs. The contract runs through 2020 and is applicable for all nine Little League Baseball and Softball World Series Tournament events. The renewal extends the brand's long-standing relationship with Little League Baseball and Softball which now dates back more than thirty years. The partnership will continue to provide Russell Athletic with prominent recognition during all Little League World Series events. The relationship also provides new player uniforms for participants in all nine Little League World Series tournaments as well as additional apparel for players and coaches designed exclusively for Little League each year. "We are very proud to continue our longstanding relationship with Little League and remain the Official Uniform of the Little League World Series events," said Matt Murphy, Vice President of Marketing, Russell Athletic. "Our brand is dedicated to the growth of Little League Baseball and Softball around the world, and it's a privilege to partner with an organization that does so much for youth sports." Expanding upon their commitment to provide the highest quality uniforms for all ages and levels of play, Russell Athletic and Little League collaborated to introduce a new local league uniform ordering option, allowing leagues and coaches to customize regular season and tournament uniforms complete with the Little League Official Patch. This new purchasing option makes ordering and receiving Little League uniforms easier and more convenient than ever for coaches, parents and league administrators. LittleLeagueUniforms.com, launched in May 2015, is a one-stop-online shop for designing, customizing and purchasing group orders of Little League baseball and softball uniforms for the nearly 6,000 local programs in the United States. The website is also the only online uniform generator that offers officially-sanctioned Little League patches pre-sewn on each jersey as part of each order. "Russell Athletic has provided tremendous support for the Little League program since the relationship began over thirty years ago," said Liz DiLullo Brown, Little League® Vice President of Marketing and Communications. "From providing uniforms to all athletes in the Little League World Series tournaments, to the new uniform ordering option for local leagues, Russell Athletic continues to supply the best options for quality uniforms while still considering the specific needs of Little League and their seasonal operations." Russell Athletic and Little League have worked collaboratively to produce uniforms and apparel that are unique each year and offer the best performance features available for young athletes. Following the popular debut of sublimated jersey designs in 2014, the 2015 jerseys continued the trend and featured a unique shoulder sublimation concept that highlighted the representative states or region for each team. Little League® World Series uniforms for 2016 will be unveiled later this summer. For more than 60 years, Little League International has worked closely with its national sponsors, who help provide valuable support for local Little League programs around the world. Thanks to the support of these corporations, Little League International has been able to create free resources for volunteers, provide direct financial support to local league operations, and keep Little League affiliation costs to a minimum. This includes the $4 million Grow the Game initiative that Little League International launched in 2015 to support community programs around the world and incremental funding for tournament travel expenses for chartered Little League programs. For more than 100 years, Russell Brands, LLC, has supplied America's athletes and teams with the latest innovations to help them perform at their best and is a leading supplier of apparel and team uniforms at the high school, college and professional levels. Russell's collegiate licensed products and athletic wear are broadly distributed and marketed through department stores, sports specialty stores, retail chains and college bookstores. For more information, please visit www.RussellAthletic.com, Facebook and Twitter. Little League® Baseball and Softball is the world's largest organized youth sports program, with 2.4 million players and one million adult volunteers in every U.S. state and more than 80 other countries. Founded in 1939, more than 35 million people around the world, from a U.S. president to community leaders to professional athletes, can call themselves Little League graduates. And every year, millions of people follow the hard work, dedication, and sportsmanship that the Little Leaguers display at our nine baseball and softball World Series events, the premier tournaments in youth sports. For more information, visit LittleLeague.org, or follow Little League on Facebook (facebook.com/LittleLeague), Twitter (twitter.com/LittleLeague), and Instagram (Instagram.com/LittleLeague). Central High School Honored as Recipient of the Fifth Annual Russell Athletic "Fight Like Dylan Award"
BOWLING GREEN, Ky., Dec. 28, 2015 - Russell Athletic announced Central High School inProvidence, Rhode Island as the 2015 "Fight Like Dylan Award" recipient today. The award, celebrating its fifth year, honors high school programs around the nation that have demonstrated inspiring determination and perseverance through sports. A distinguished panel of judges, led by former NFL coach Tony Dungy, selected Central High School after reviewing hundreds of submissions sent in by coaches, administrators, community members, parents and former athletes from across the country. The Central football team and community epitomize what it means to persevere during adversity. In 2015, the Knights reached the state playoffs and recorded their first winning season since 2011 while dealing with the tragic loss of one of their key players, overall funding and resource challenges, and navigating a variety of personal/family crises. The team has acted as a family for its players both on and off the field, providing both hope and opportunity. "Each year there are numerous deserving high schools that make this decision difficult. We received hundreds of entries from across the country and the fifth year of the program proved to be just as tough selecting a winner," said Robby Davis, Senior Vice President and General Manager, Russell Athletic. "We are inspired by this team and all of the students, faculty and supporting community at Central High School. It is an honor to present this award to them." "It's tough to put into words how much this will mean to our players and overall community," said Peter Rios, Central High School head football coach, athletic director and teacher. "We are so grateful to Russell Athletic and everyone involved with the 'Fight Like Dylan Award' to recognize us with this prestigious accolade." Central follows in the footsteps of the previous four recipients, all of whom have exemplified a dedication to overcoming obstacles and rallying their communities around a common goal. Each school has honored the memory of Dylan Rebeor, a high school football player whose last wish before passing away in 2011 was for his teammates to receive new uniforms. "Stories like Central High School are the reason I got involved with this tremendous program, and am proud to partner with Russell Athletic to recognize the Knights this year," said Coach Dungy. "Among the hundreds of entries were numerous worthy candidates, all honoring Dylan's life and the meaning of this award. The way that Central rallied the entire school and surrounding community was truly inspiring." To celebrate the award, select members of the Central Knights community are in Orlando and will receive the award during the Russell Athletic Bowl press conference on Monday, December 28th. They will also be recognized on field during the 2015 Russell Athletic Bowl on Tuesday, December 29th, 2015, broadcast live on ESPN. The game will feature #10 North Carolina and #17 Baylor. Coach Dungy, Heather Rebeor (Dylan's Mother), and a representative from each of the past "Fight Like Dylan Award" recipients served on this year's selection committee. To learn more about Dylan's story, please visit www.FightLikeDylan.org. "Our family's hearts were immediately touched when we read Central's story," said Heather Rebeor. "These young men show the same team spirit that Dylan did and I'm so glad they are getting the support through the 'Fight Like Dylan Award.' This year has been another tremendous one for this very special program and I know Dylan is proud." For more than 100 years, Russell Athletic has supplied America's athletes and teams with the latest in athletic apparel and equipment to help them perform at their best on and off the field. Their collegiate licensed products and athletic wear are broadly distributed and marketed through department stores, sports specialty stores, and college bookstores. For more information, please visit www.RussellAthletic.com, Facebook.com/RussellAthletic, Twitter.com/RussellAthletic.